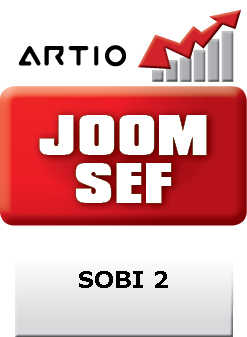 This Joomla SEO extension for ARTIO JoomSEF enables generation of Search Engine Friendly (SEF) URLs for the SOBI2 (Sigsiu Online Business Index 2) component. Important: This extension requires ARTIO JoomSEF 3.x (for 2.x compatible, see other category). Use the JoomSEF built-in installer capability to install the extension package - for more details, please check documentation. After installation, purge already existing URLs created for SOBI2 component. You are allowed to use this extension on one Joomla! installation only. To use it on more sites, you need to buy extra license for each. Adjust the extension settings to define how the SOBI2 URLs should look like. Always delete all caches after doing changes to configuration.